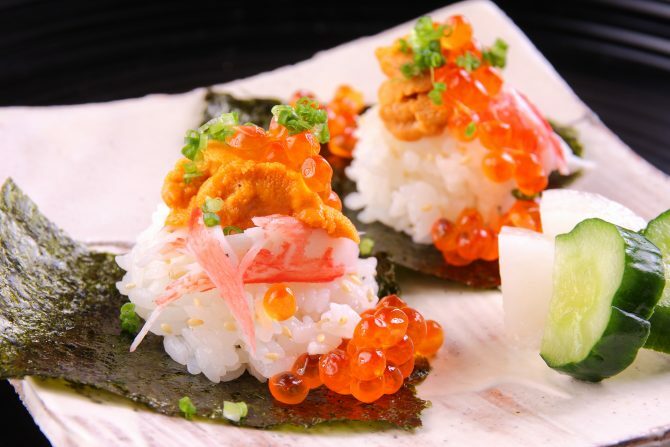 Helmed by renowned chef Kenji Okumura, Teppan Kappou Kenji is a modern Japanese diner where diners can indulge in a multi-course menu in Kappou-style with premium ingredients sourced directly from Japan. So what is Kappou-style though? 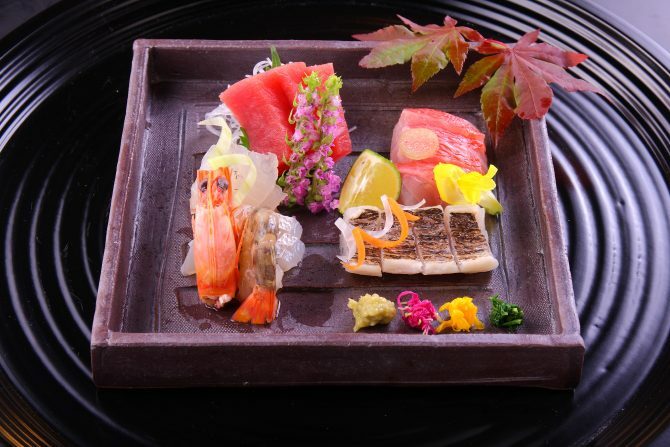 Similar to Omakase Kaiseki, the menu is also entirely left up to the chef’s discretion. 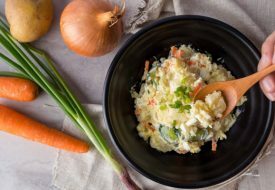 The word ‘Kappou’ literally means ‘to cut and to cook’, an expression for a less formal kind of dining that emphasizes proximity between the diner and the chef who is preparing the food. 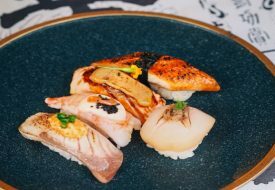 Trained in the art of Kaiseki by master chefs in Japan, Chef Kenji Okumura’s menu pays homage to the artistic tradition where each dish is crafted to perfection— with the restaurant’s counter seating, he hopes to introduce a new Japanese gourmet experience that is deeply nuanced in a comfortable, casual setting. Gorbachev of Russia and Wen Jiabao of China have all enjoyed Chef Okumura’s Omakase menu. Using only the freshest and finest ingredients of the season, Chef Kenji Okumura’s creative, intriguing menu includes his signature teppanyaki dishes. Apart from exquisitely prepared sushi, sashimi, sukiyaki, hotpot, the highlight is the affordable and personalized Omakase dining experience. 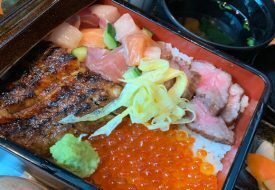 Hana, Kiri, Aoi ranging from $60.00 to $120.00 respectively, the Omakase set lunch starts from a reasonable $50.00, all with no compromise on the quality of ingredients. 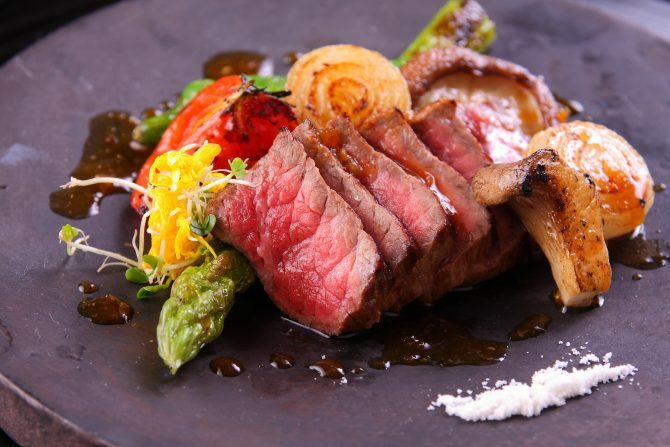 The a la carte menu also offers a wide selection of premium Wagyu, including the premium A5 and A4 Miyazaki beef along with Japanese seafood delicacies like abalone, king crab and live spiny lobster and oyster from Mie Prefecture. Truly, there is nothing more delightful than watching a chef at work, full of finesse in the traditional Kappou style, while excitedly waiting for the next dish. 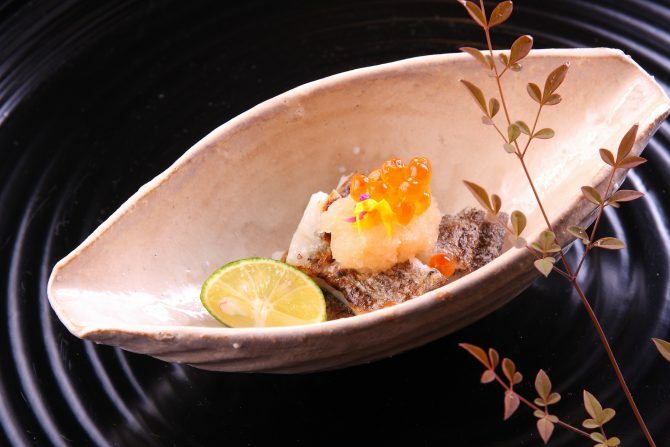 Pop on down to Teppan Kappou Kenji for a modern and revolutionary take on one of Japan’s most revered dining traditions.